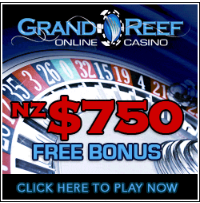 New Zealand’s online gambling market is a rich source of diverse online casino software. There are several companies in the industry that provide online slots, table games and card games to casinos available to players in the country. With so many software providers in the online gambling market, it would seem that it has become over-saturated, but there are a few companies that emerge as the best of the bunch. Here is a list of the top online casino software manufacturers. The team at online-casinos.co.nz has reviewed each company, aiming to provide readers with an unbiased opinion on their software. You can find Microgaming casino software at the majority of online gambling websites. Having created over 600 games, the company manages to continue pumping out high quality online casino software month after month. PlayTech is best known for its impressive progressive jackpots and its wide range of online slots titles. Read on for an overview of the company’s history and game collection.